As the humanitarian crises following the Arab spring enter their sixth year, the media coverage of war, displacement, and migration in the Middle East and North Africa tragically have become all too familiar. For mainstream media, the millions of people whose lives have been upended are mostly data points, illustrations of the misery and upheaval that have swept across Syria, Yemen, Gaza, Iraq, and many places between. Yet for those who are caught in the crises, and plagued not only by insecurity and uncertainty but a lack of information, relatively little is available to help them make informed decisions for their own survival. 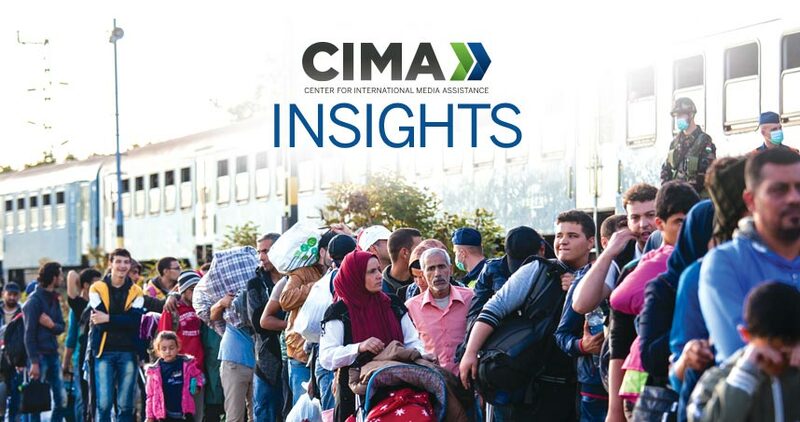 CIMA’s report, Media as a Form of Aid in Humanitarian Crises, examines how humanitarian crises around the world have led to a major change in the priorities and approaches in media development efforts. The report, by Jeffrey Ghannam, an expert on news media in the Middle East, argues that traditional efforts aimed at building sustainable media systems and institutions have had to give way to the more pressing needs of these crises.